Collecting a debt in Kenya can seem impossible. Language and cultural barriers, foreign laws and customs, and sheer distance all impose serious challenges. 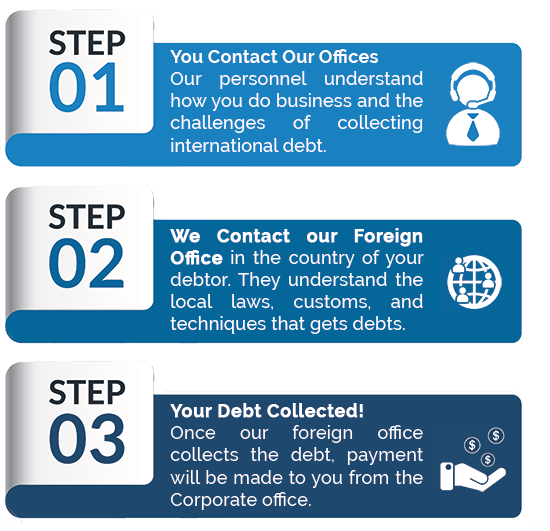 Debt recovery is simpler when you use a collection agency fluent in the laws and customs of the country where the debtor resides. Cedar Financial offers on-the-ground representatives in Kenya who understand the debt collection practices that work to support full recovery of your funds. With offices in over 150 countries, including Kenya, working with Cedar Financial provides you access to a global network of nationally licensed debt collectors. Our in-depth understanding of local laws, customs and cultures guarantees the best possible debt mediation results. Why should we ask you to collect our debts in Kenya? We have expertise with the characteristics of our local market, professionalism in dealing with consumer and commercial debt cases and a wide network which allows us to serve our clients without limitations. We work on a “No Collection – No Fee” basis so we will not charge a fee if we recover no money for you. That principle applies to pre-legal debt collection only. If legal action is recommended– we will quote our legal fees separately. We have no minimum value or volume that is required to place accounts. We service consumer and commercial debts. The timeline greatly depends on the case and negotiations, debtor's cooperation and the flexibility of the creditor. Review the case documents, assign the file to collector, approach the debtor via phone/emails/letters/visits, negotiate best terms for clients, and collect in cash or through bank wire. Statute of limitation is 7 years. Collection Fees are not allowed.